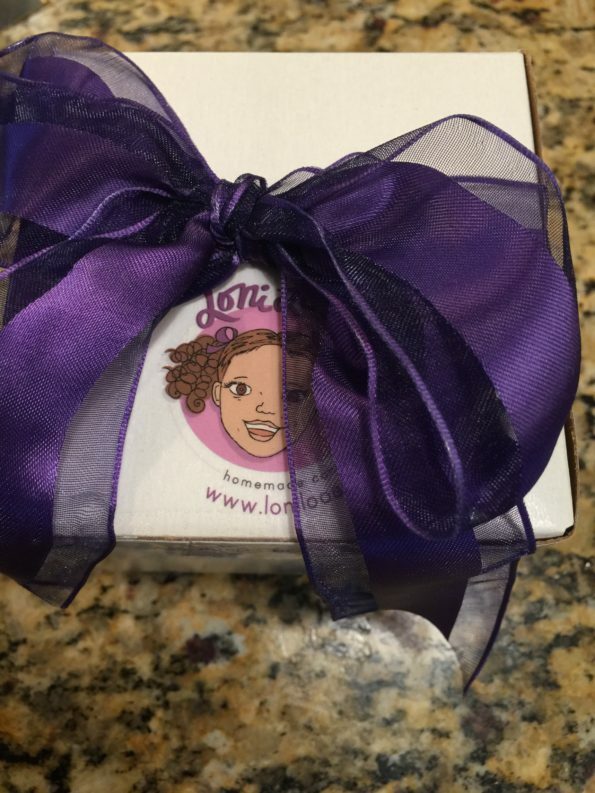 Recently, I was invited to a pop up shop in New Orleans hosted by Loni Loo’s and Justice of Pies. Unfortunately, I had another event that same day. What an awesome collaboration; Chocolates and Pies. Yum. Desserts are my favorite. 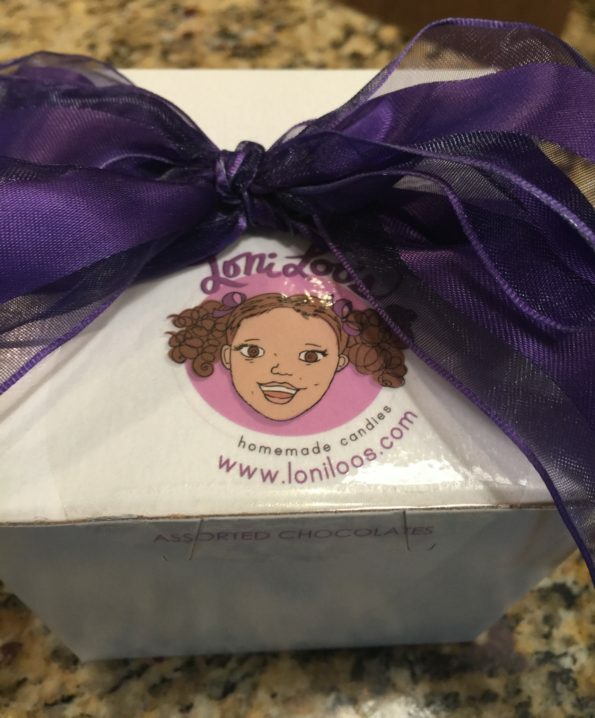 After reading more on both companies, I reached out to Loni Loo’s about doing a review on the Chocolates. The chocolates were shipped and arrived within a few days. I solicited the help of my husband and daughter on this review. 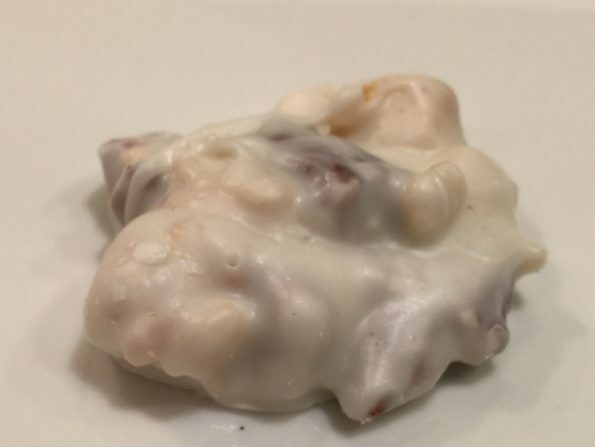 Loni Loo’s Homemade Candies are handmade by Loni Swan and her chocolatiers. Loni is a media-personality and owner/operator. 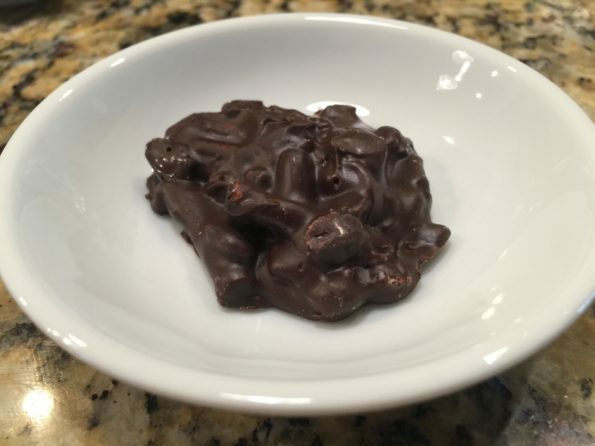 The chocolates are salty-sweet-chocolate-clusters that are available in either Dark Chocolate, White Chocolate or Milk Chocolate. The chocolates are made with the finest and freshest ingredients. A family recipe that has been around for a long time. 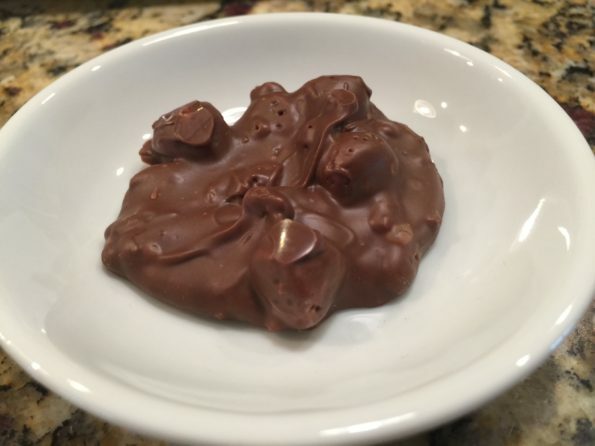 Each Chocolate Cluster is only 134 Calories per serving. Three flavors that are guaranteed to satisfy any chocolate lovers cravings. Loni’s Chocolates arrived nicely packaged in a box. The chocolates are individually wrapped. The Milk Chocolate contains Milk Chocolate, Pretzels, Pecans, Crispy Rice and Peanut Butter Crunches. 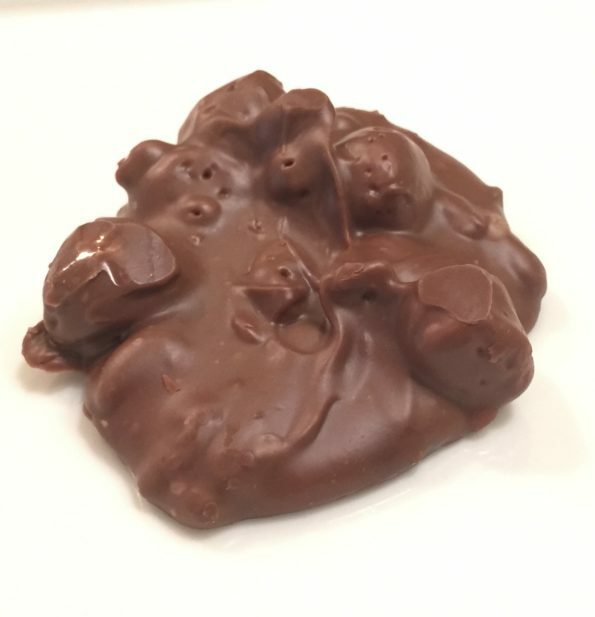 The Milk chocolate cluster was chewy and crunchy. Very yummy. The White Chocolate contained white chocolate, pretzels, pecans, crispy rice and peanut butter crunches. The white chocolate was my favorite. The crunchy with pecans; so good. The Dark Chocolate contained pretzels, peanuts, crispy rice and peanut butter crunch. I am not a fan of Dark Chocolate but this one was pretty good. 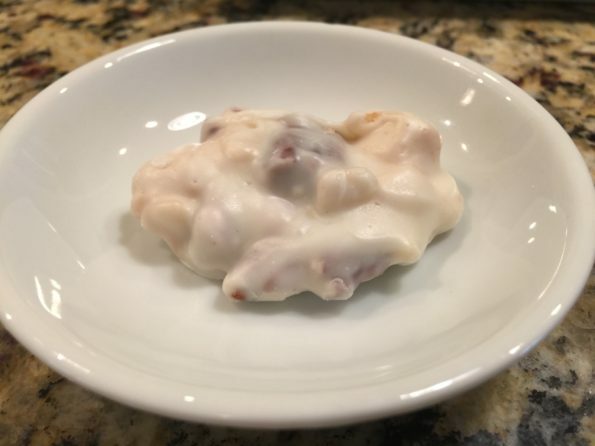 The clusters are a cross between a cookie, pecan candy and chocolates all mixed into one. Overall, Loni Loo’s are yummy treats indeed. A good balance between salty and sweet. 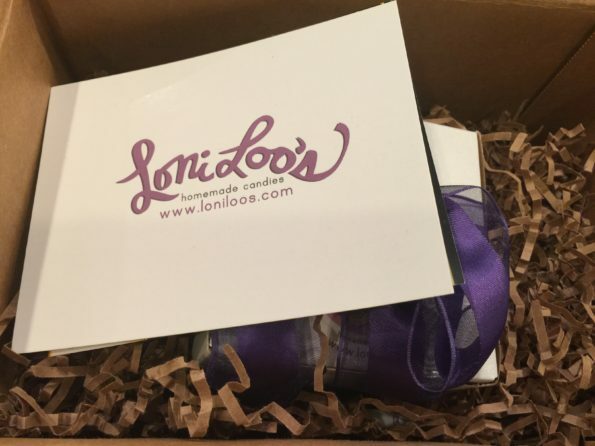 Loni Loo’s would make great gifts. The chocolates are also sold in Gift Tins, as Party Favors for all occasions; Birthdays, Weddings, Baby Showers, the Just Because gifts and everything in between. Any chocolate lover would love Loni Loo’s. Follow Loni Loo’s on Twitter or like their page on Facebook.